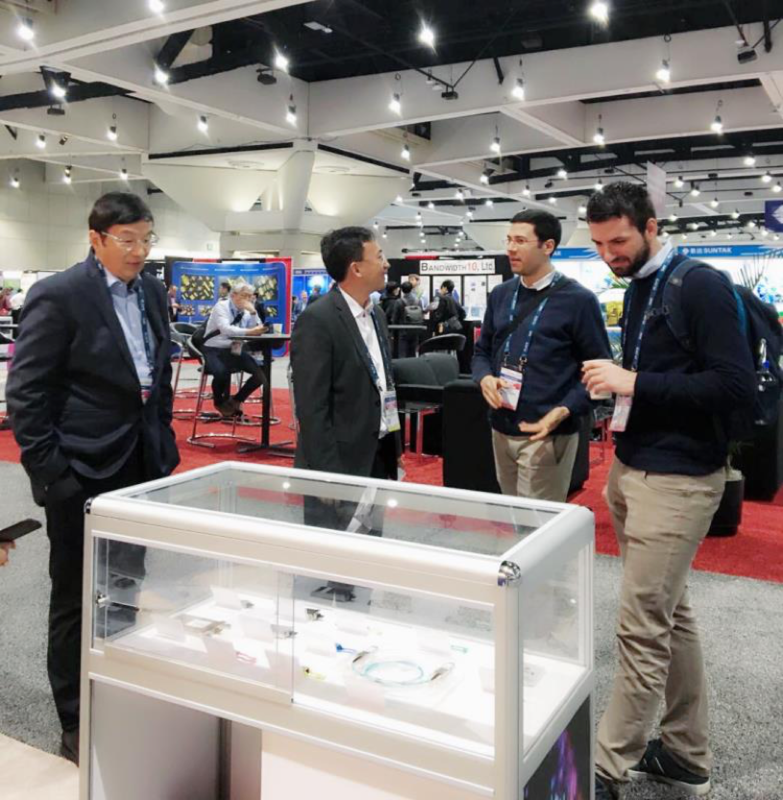 On March 13th 2018, the 43rd OFC (Optical Fiber Communication Conference and Exposition) was held in San Diego Convention center, California, USA. 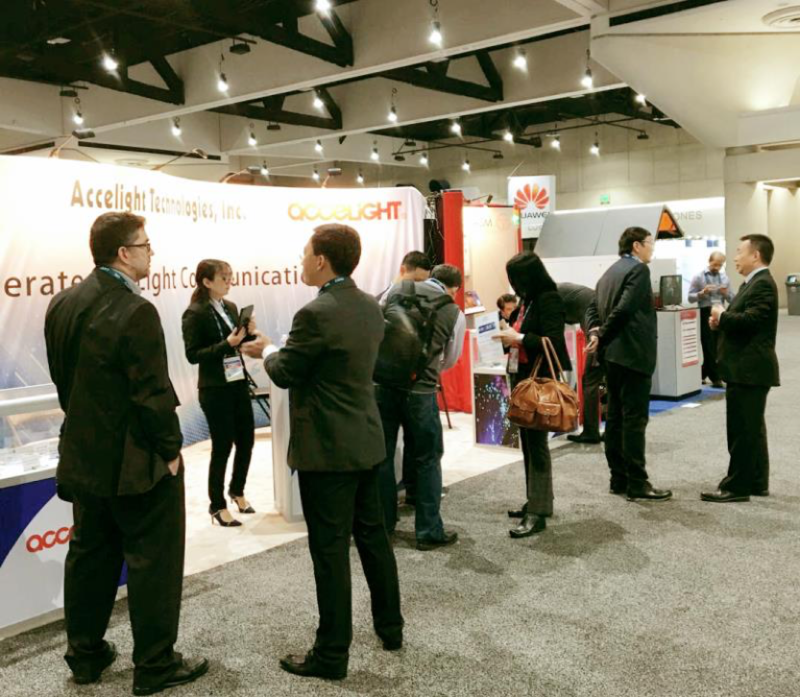 As an invited exhibitor, Accelight attended OFC for the first time. 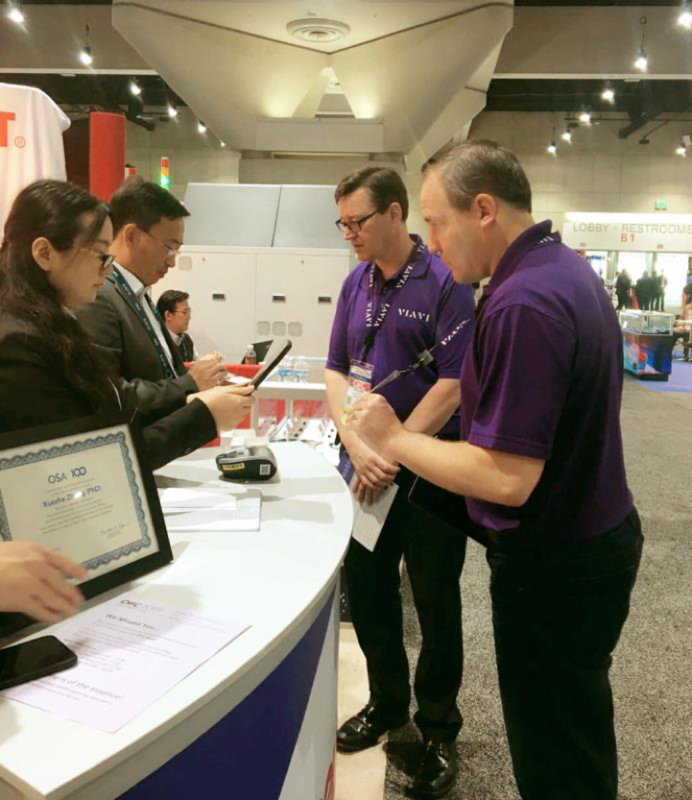 With logo in ruby red, white and blue as the background color, we showcased the high-speed data center product series, including a 400G QSFP-DD SR8, a complete 100G QSFP28 product family, along with other transceivers and active optical cables (AOCs) for the Data Center applications. 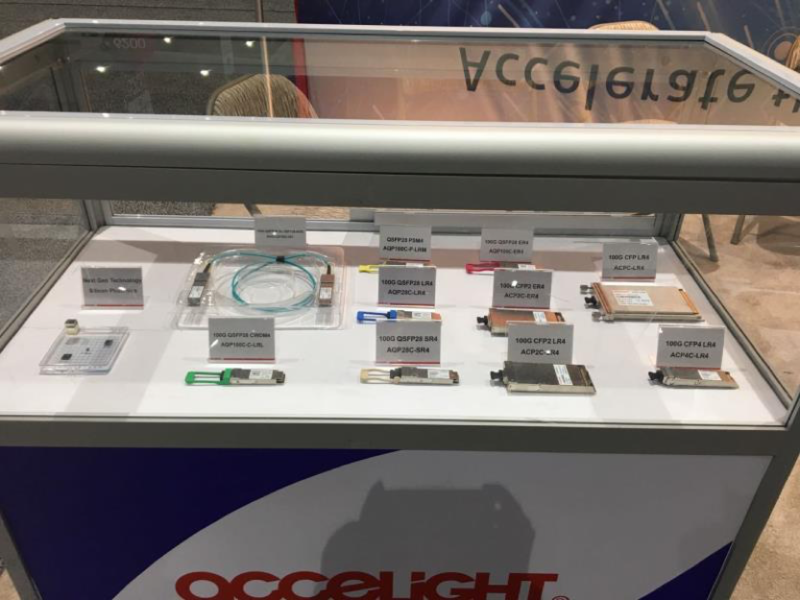 The mission of Accelight is to offer a diverse portfolio of high-performance, high-quality, cost-effective optical transceivers to the customers around the world.